Welcome to Day 3 of MAWC2019! 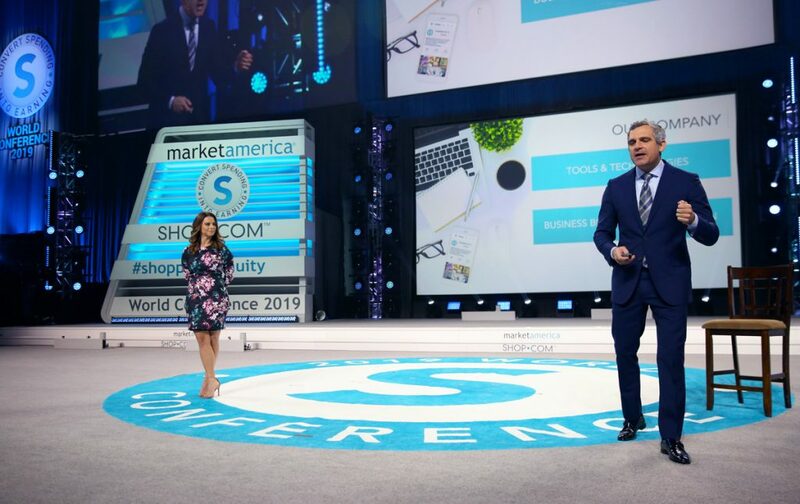 The Market America | SHOP.COM and Shopping Annuity teams saved the best for last. Business building and the famous close with JR Ridinger were just a few of the highlights today. Let’s get right into the recap. In order UFOs to grow, there will be new UnFranchise Support Materials debuting in the upcoming weeks on UnFranchise.com. It will be a better user experience overall. As a UFO, you are embracing four trends in the economy: retail store collapse, rise in online sales, one-to-one marketing replacing mass marketing, and rise in entrepreneurship. Sarah explained how UFOs should buy products through their business in order to create their own economy. The Shopping Annuity and UnFranchise Business are the solution. Andrew said, “You are in the right place at the right time with the right company.” From there, Sarah stated that since November, every UFO now has their own Shopping Annuity website. On the website, the new Shopping Annuity Presentation is available in multiple languages. The website is a selling point for the business. Use it! After the Assessment, the presentation shifted to Deductr, which is the premier business expense, mileage and time tracking system, to help maximize your potential tax deductions and help save you money on your tax bill. There will be a Deductr Webinar Series kicking off in March. Andrew and Sara invited Phil Guido on the stage to discuss the brand new UnFranchise Business Presentation. Phil said he worked with a team to make a shorter, informative presentation. The presentation used to be around 67 slides. Now, it’s about 35 slides, but the information is not slacking whatsoever. The presentation will be easier for new users to understand. Andrew then transitioned into Moving Up Seminars and showcased how they are excellent events to learn all about Market America and business building in a jam-packed two days of training.